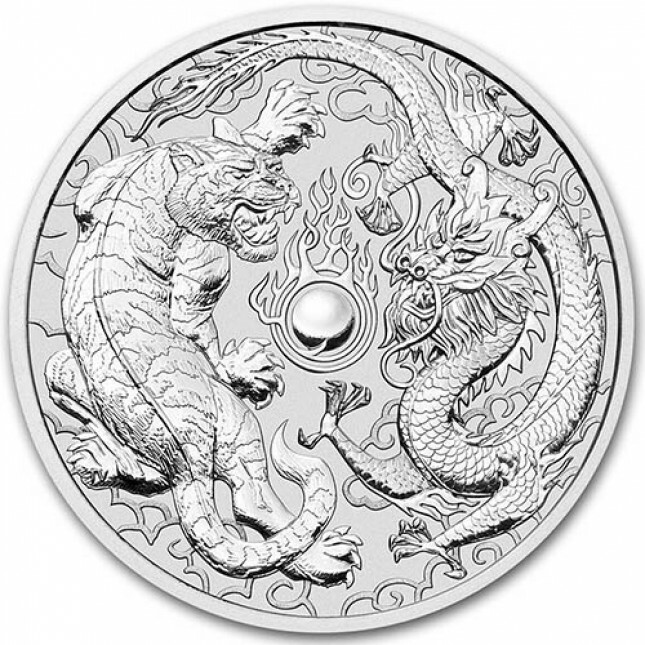 This beautiful coin is the second release of the Dragon & Tiger series from the Perth Mint. With a limited mintage of just 50,000 and a stunning design, this coin is sure to be a favorite of investors and collectors alike. Contains one (1) troy ounce of .9999 Fine Silver. Officially backed by the Australian government with a face value of $1 AUD. Individual coins shipped in plastic capsules. Orders of 20 are shipped in a plastic wrapped roll. Orders of 100 are shipped in a sealed box from the Perth Mint. 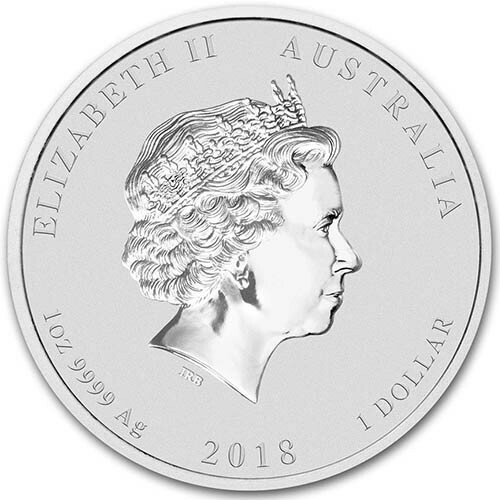 The obverse depicts the classic QEII with the date (2018), weight (1 troy oz), purity (.9999 Fine Silver) and denomination ($1 AUD). The reverse depicts a beautiful design of a tiger and dragon surrounding a pearl. Brand New From The Perth Mint!